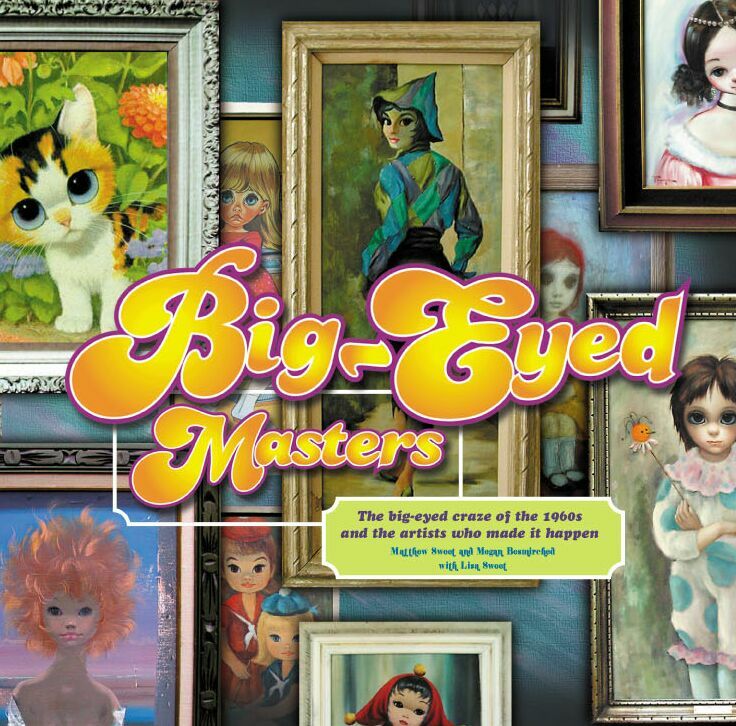 Official website of Big-Eyed Masters.The book about the big eyed art craze of the 1960's & the artists who made it happen. Big-Eyed Masters- the book that takes a glimpse into the world of Big-Eyed Art. Big-Eyed Art is a genre that celebrated its height of popularity and production in the 1960's. Portraits of wide-eyed waifs collected by celebrities such as Joan Crawford, Frank Sinatra and Natalie Wood. Although its heyday was well over 30 years ago, Big-Eyed Art continues to be adored by fans around the world today. Shunned by the serious art community- much of the history of Big-Eyed Art was igored, overlooked and forgotten. Big-Eyed Masters explores the origins, offers extensive biographies of the mysterious artists, and takes a look into the 60's art scene. See original oil paintings and newly discovered, lost, artwork. Witness an extensive collection of reproductions, dolls, and a bevy of mass produced kitsch. Big Eyed Masters includes the lives and times of the most familiar artists: Keane, Maio, Igor, Gig, Franca, Eden. And delves into the more obscure and rarely seen. From the fine-art to the ultra-commercial and all the sad eyed moppets and pitiful animals in-between. for additional news regarding the upcoming release of the Big-Eyed Masters book.